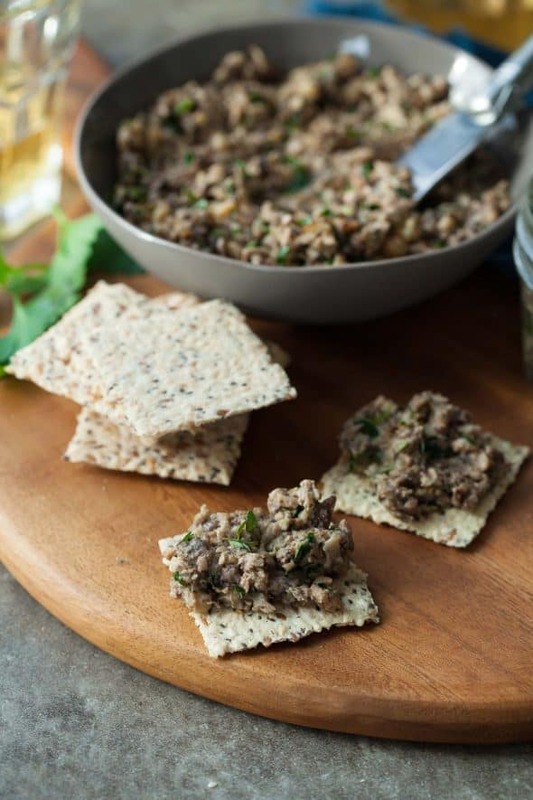 A plant-based mushroom and walnut pâté filled with garlic and herbs and lots of rich flavor. 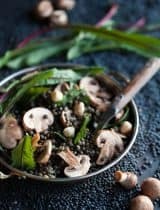 Your first instinct with mushrooms is probably to sauté them, but did you know that they’re also delicious when roasted? Roasting is actually one of the best, not to mention easiest ways to prepare mushrooms. If you’ve ever ended up with a plate of soggy mushrooms it’s because they got waterlogged in their own juices. Roasted mushrooms however are tender and intensely flavored. 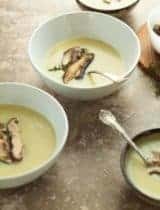 The trick with roasting is the steady high heat of the oven, which encourages the moisture locked inside the mushrooms to quickly evaporate; leaving you with silky and perfectly cooked mushrooms. 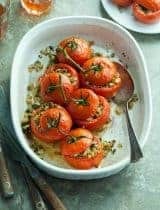 I like to flavor mine with woodsy aromatics like rosemary, thyme and a pinch of ground coriander to complement the earthy flavors of the mushrooms then whizz them up to make a chunky spread. 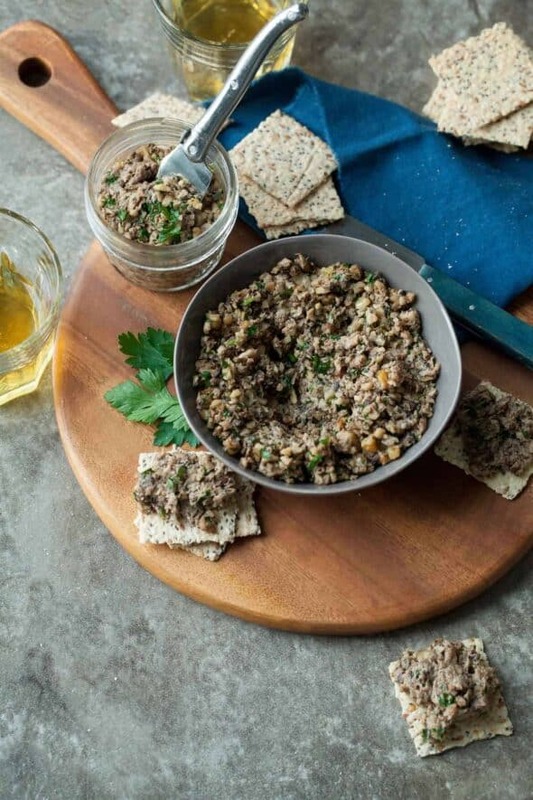 It makes a plant-based pâté with a rich and hearty taste that’s perfect for spreading on crackers or as a dip with vegetables. 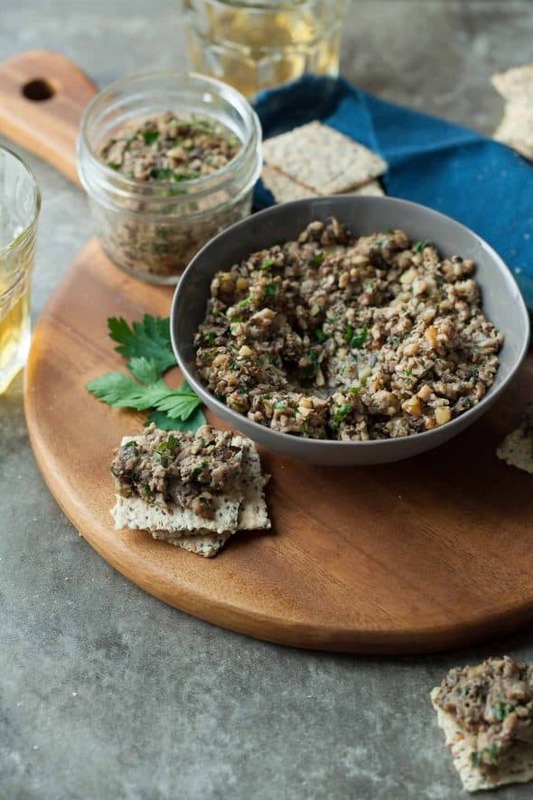 Because the oven does most of the work this mushroom pâté is easy to whip up and can be made ahead of time (a day or two in the fridge just give the flavors a chance to deepen). 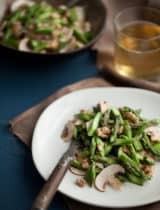 I use a mix of mushrooms like creminis and shiitakes for depth of flavor; there are walnuts for richness, parsley for freshness and color, and a splash of coconut aminos for a deep savory note. The secret ingredient though is a touch of white wine vinegar for acidity, which marries all the flavors together. 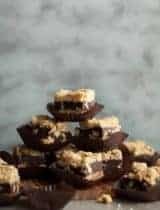 It’s the perfect thing to put out as part of a platter at a party or just to nibble on while dinner is cooking. Leftovers also make a wonderful spread for wraps and a delicious salad topper. 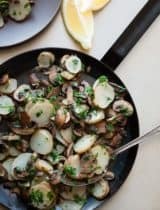 Gently toss the mushrooms with the olive oil, garlic, thyme, rosemary, coriander, coconut aminos, salt, and pepper on a parchment lined baking sheet until well coated. Roast in oven for 15-20 minutes, tossing once halfway until tender. Remove from oven and let cool. 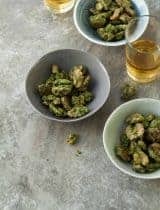 Place walnuts on a baking sheet and toast in oven for 5 minutes. 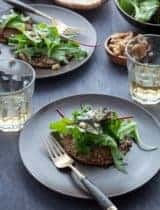 Place the mushrooms, toasted walnuts, parsley and white wine vinegar together in the bowl of a food processor and pulse until chunky but spreadable.